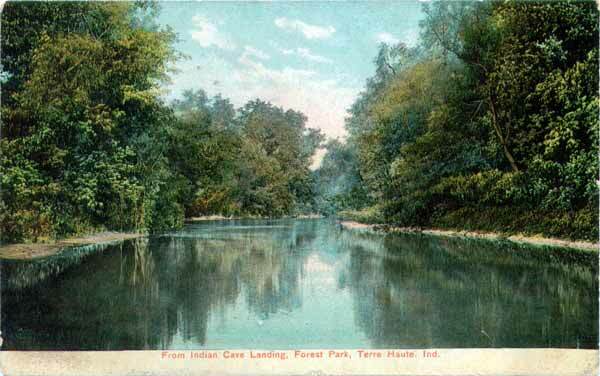 Forest Park, Terre Haute, Ind. 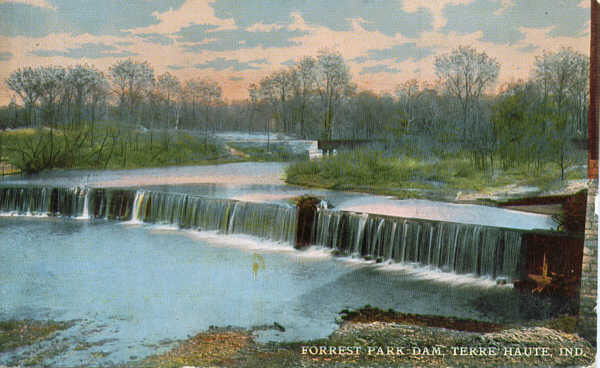 Forrest Park Dam, Terre Haute, Ind. Published expressly for S. H. Knox & Co.
of the original proprietors of Terre Haute. Markle Mill, Forrest Park, Terre Haute, Ind. Forest Park from Indian Cave, Terre Haute, Ind. Published by the Indiana News Company, Indianapolis, Ind. 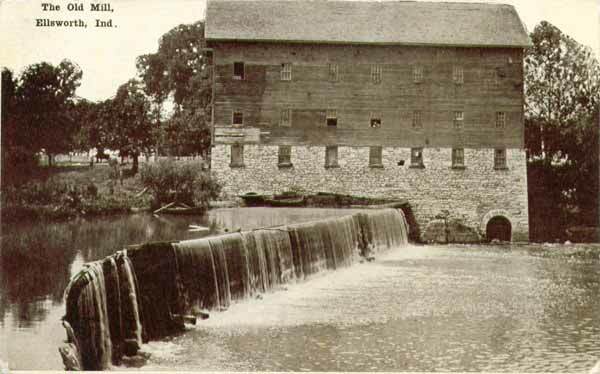 In 1816, Major Abraham Markle, a veteran of the War of 1812, bought three shares of land and built a dam across Otter Creek. In 1817, the water-powered grain mill and corn whiskey distillery began operating. 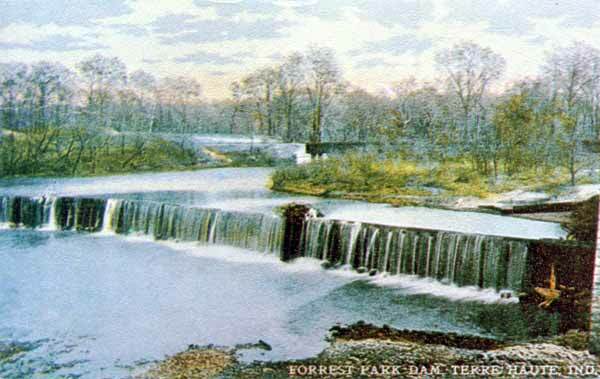 The Forest Park Company, owner and operator of the privately owned Forest Park northeast of Terre Haute, acquired the old Markle Mill and water rights on Otter Creek from Thomas Welch for $6,000 in May 1907. The park also acquired a 20-passenger gasoline automobile to transport patrons from the Ellsworth (later renamed to Edwards and now North Terre Haute) interurban stop to the park for a 5-cent fare. 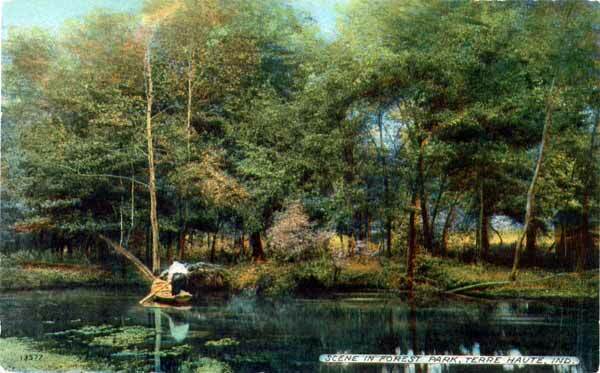 From 1903 to the 1920's the 365 acre park was a popular attraction. A Civilian Conservation Corps camp was based in the park during the Great Depression. In September 1938, fire destroyed the mill and storeroom, which was then owned owned by The Hansel Millery Co. It was purchased by Hulman and Company in 1939 and since the 1970's has been managed by Terre Haute First National Bank. Rob Robbins has an excellent article and photographs on Markle Mill as does Ronald Andrews. C. D. Hansel, the mill's owner was Ron's step great grandfather.